 Looking for a Mold Inspection Company in Alexandria? 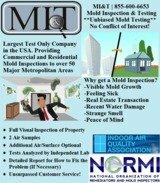 Look no further because Mold Inspection & Testing is the largest and most trusted test only company around. If you are concerned that mold growth is causing indoor air quality issues at your home or business, it is important to use an inspector separate from the restoration process. Doing so will ensure that the assessment is unbiased. MI&T was established because of a standing problem within the mold industry. The people evaluating whether or not a serious problem actually existed were the same people offering the expensive work to fix the issues. The truth is that not all mold growth is harmful and what you are seeing or experiencing could be perfectly normal. At the same time it could be a serious issue. The only way to know for sure what is happening with a properties indoor air quality is to perform mold testing. Our inspectors will not only do a visual assessement of the situation, but every client will receive the minimum of 2 air samples. An inside vs outside comparison will show if the conditions indoors are normal or elevated. Additional samples are available at an extra cost and can be helpful identifying a source of a problem and/or seeing how far a problem has spread. These samples can be general air, in-wall air, or physical-surface samples. All clients will receive a detailed lab results showing what species of mold were present and the quantity. Customers that show elevated conditions are provided a step by step protocol for what work should be performed to fix the issues. This report can be taken to restoration companies to give a quote directly off of. We do not offer referrals to ensure our testing is in fact unbiased. Give us a call for more information and/or to schedule an appointment.